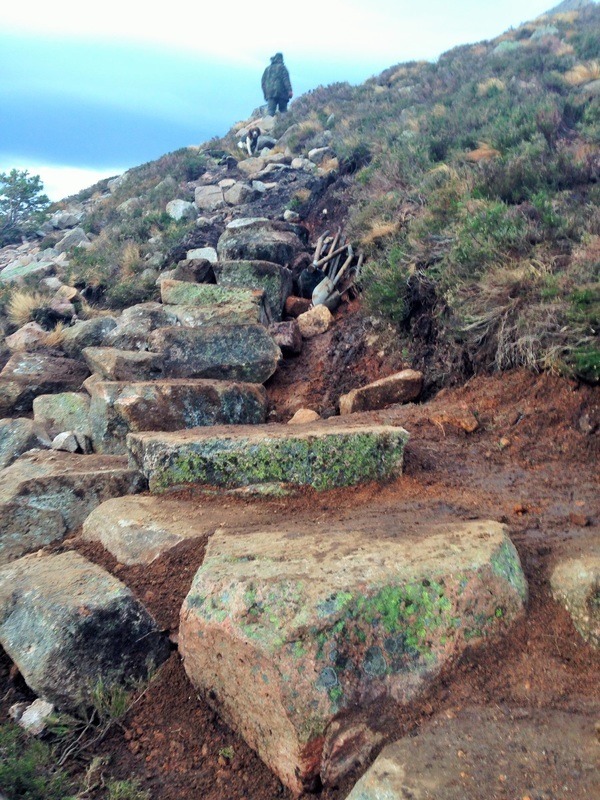 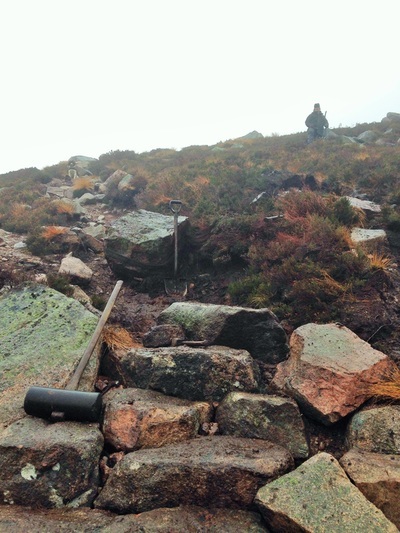 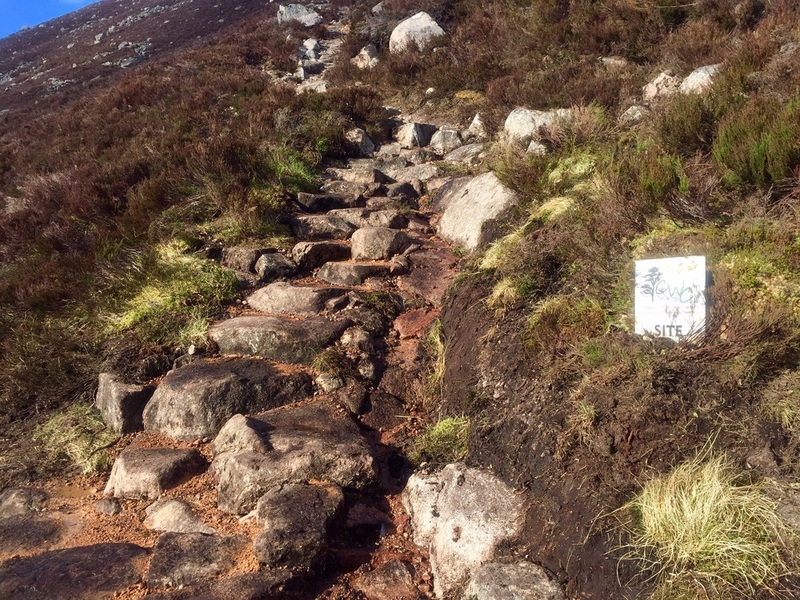 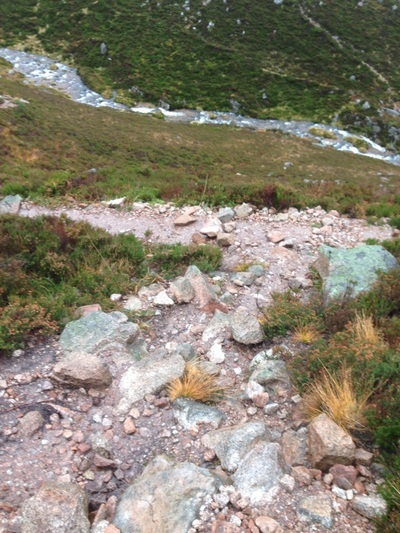 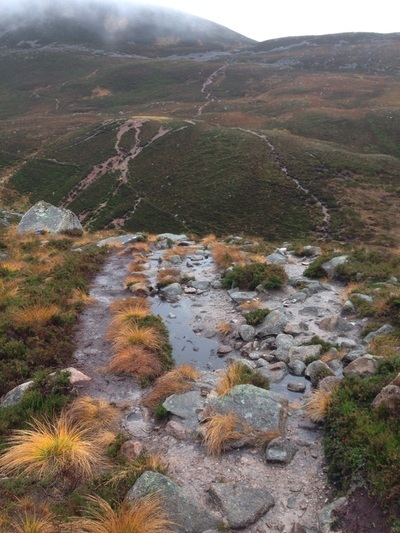 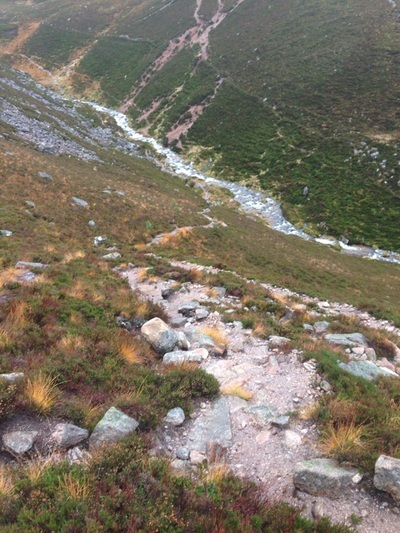 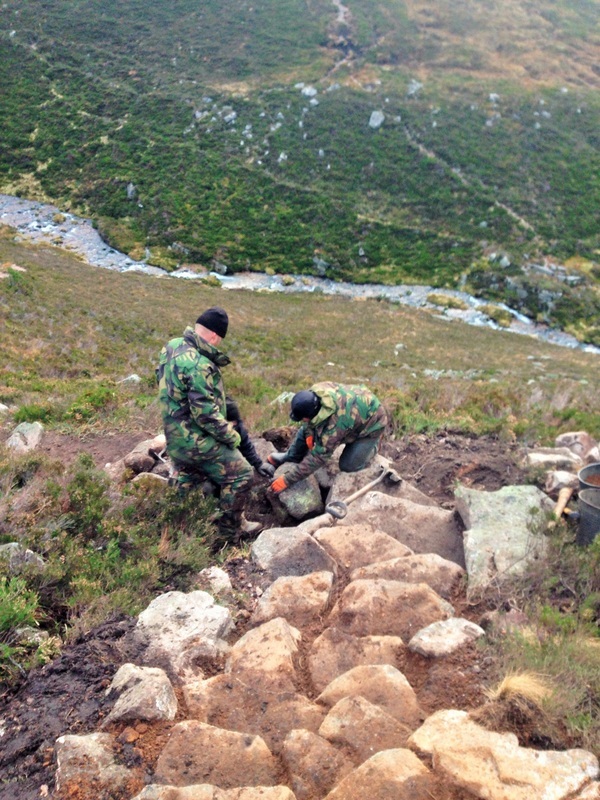 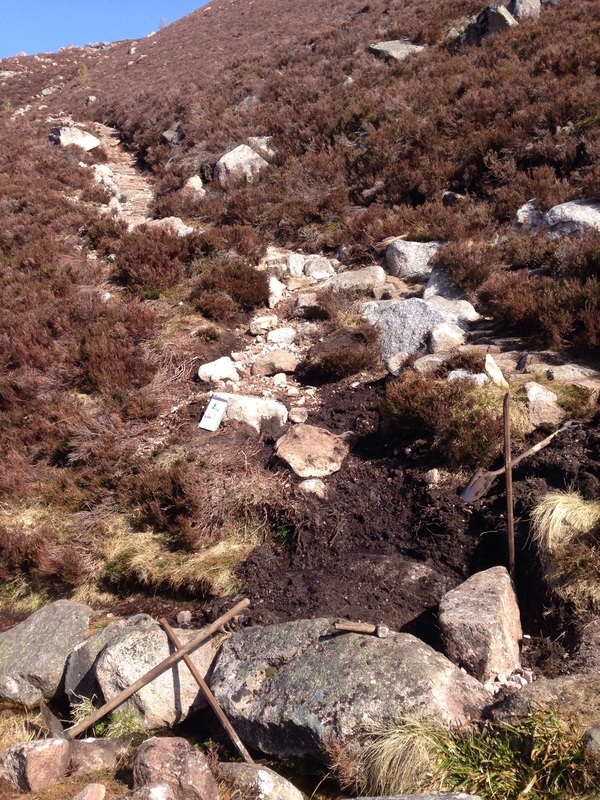 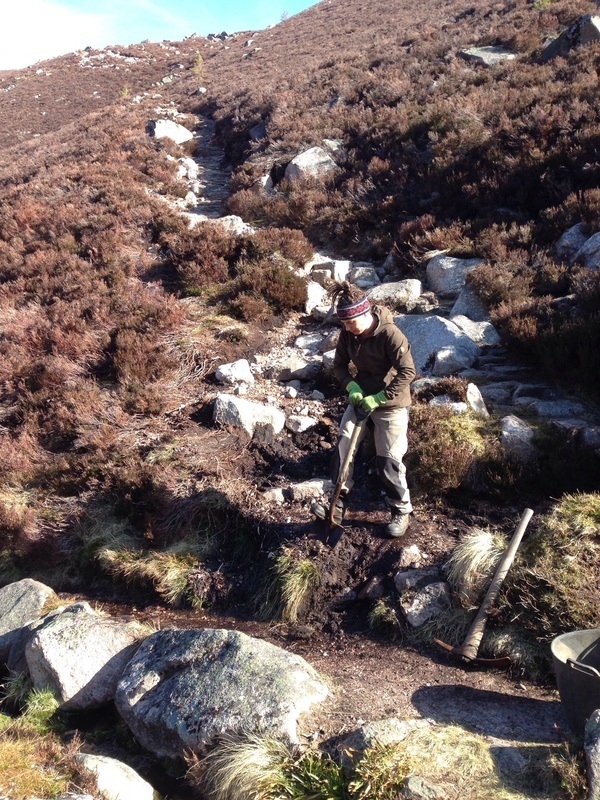 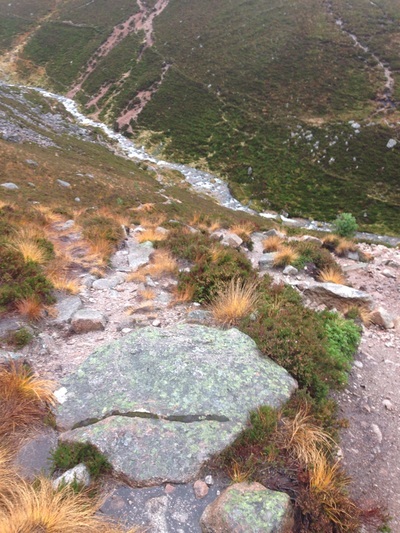 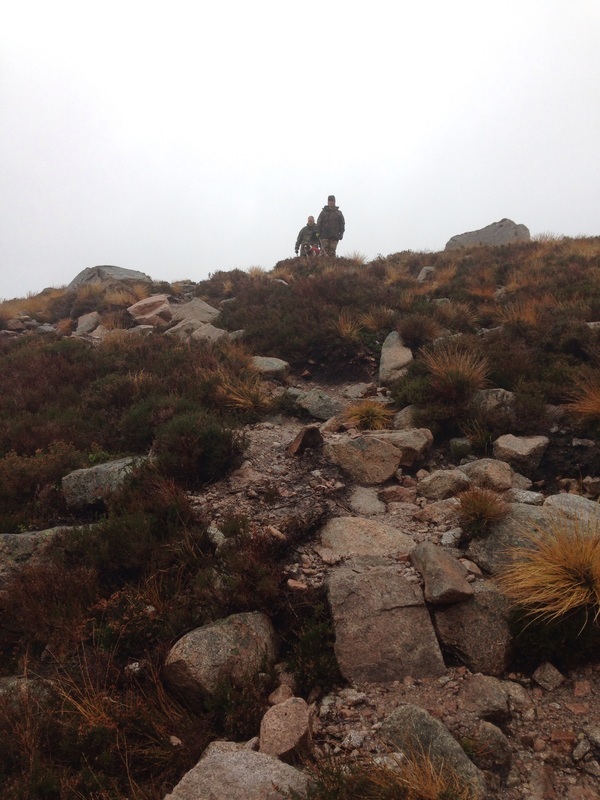 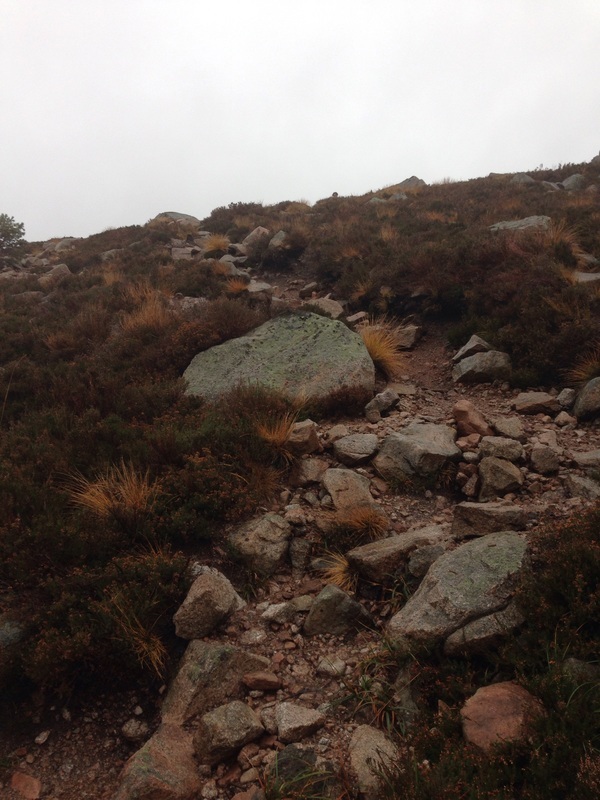 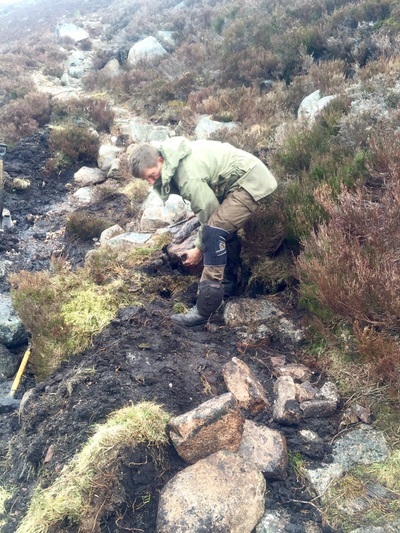 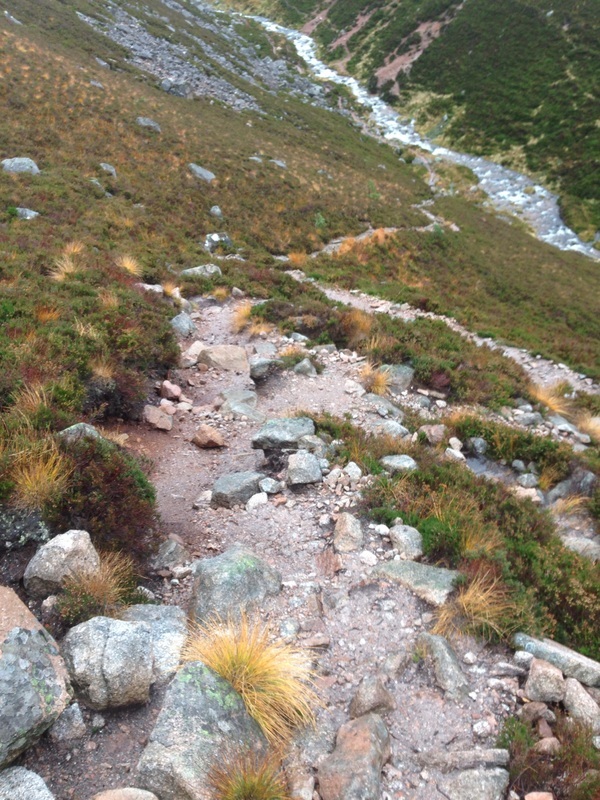 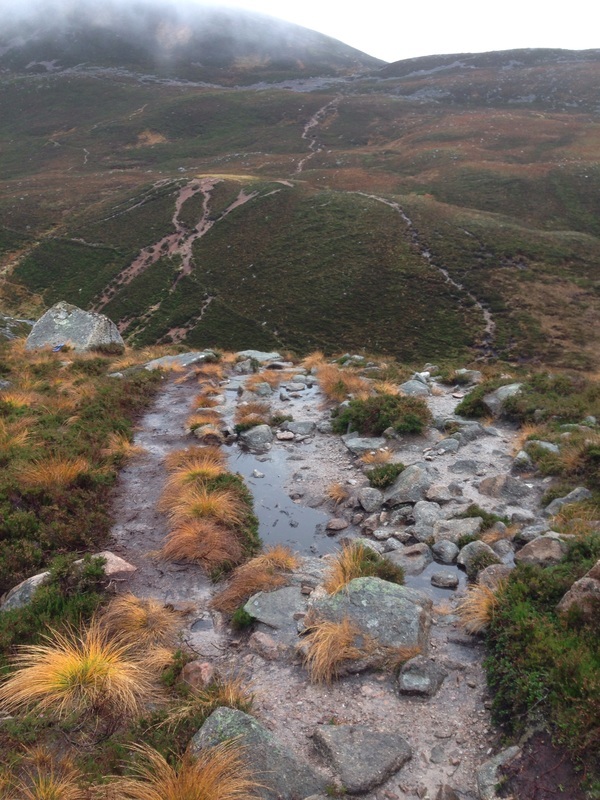 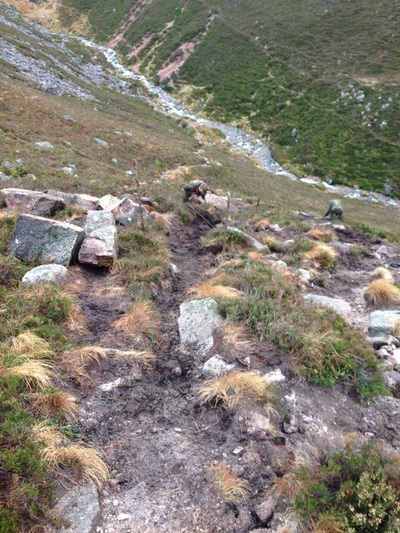 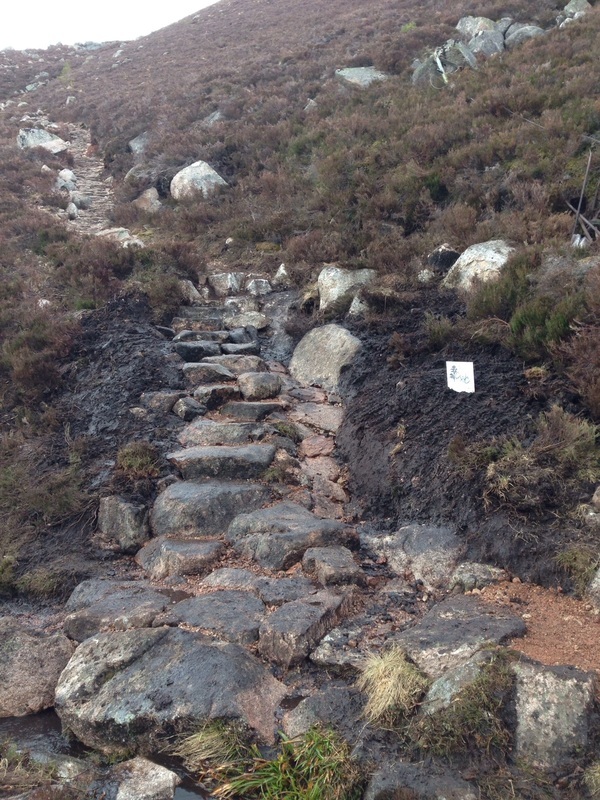 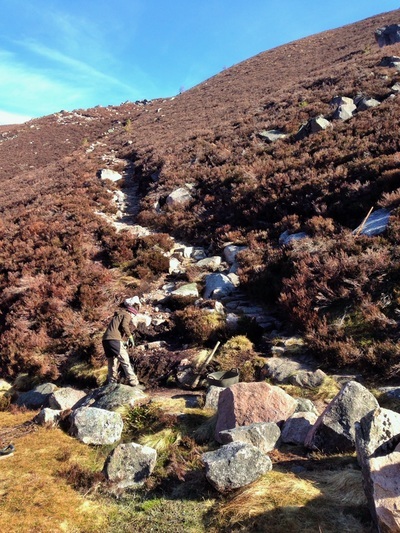 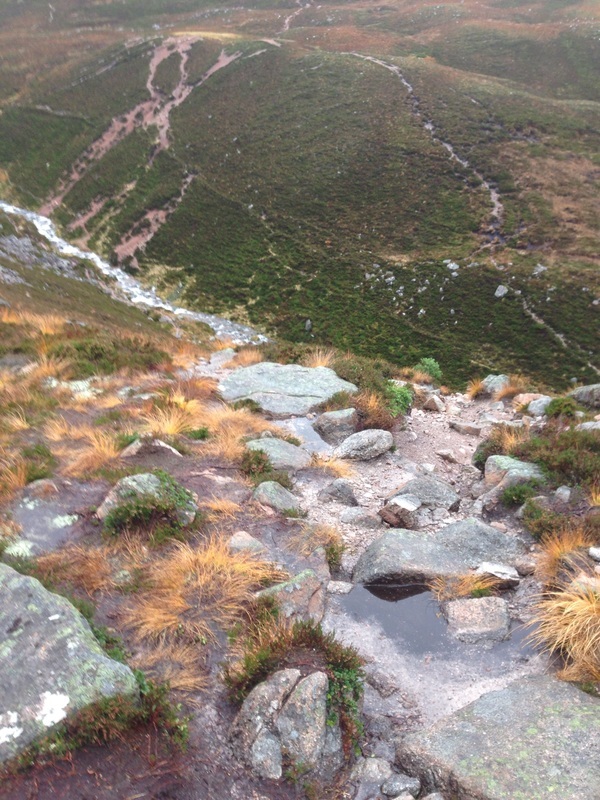 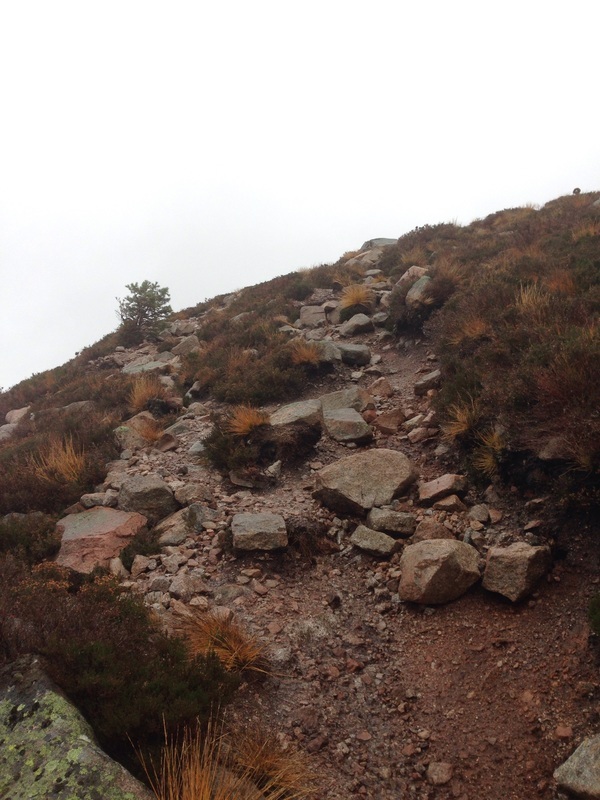 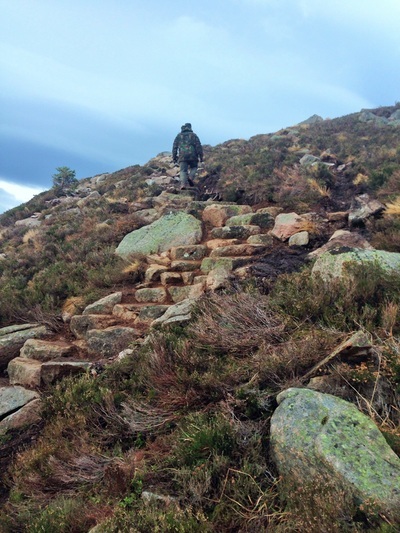 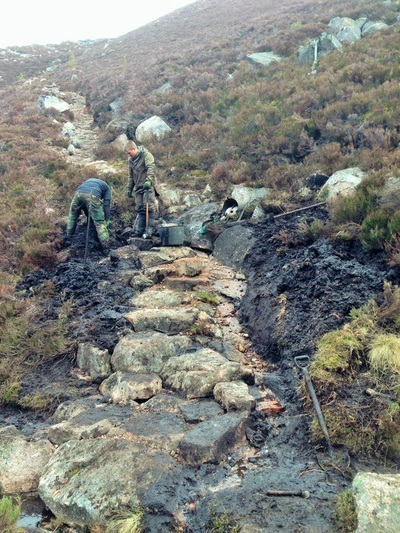 Starting in the Lairig Ghru, this is a repair and build contract on the path that leads through the Chalamain Gap and towards the Sugar Bowl car park. This is a very popular path with people heading into the Ghru and also upon to Braeriach and the surrounding mountains. 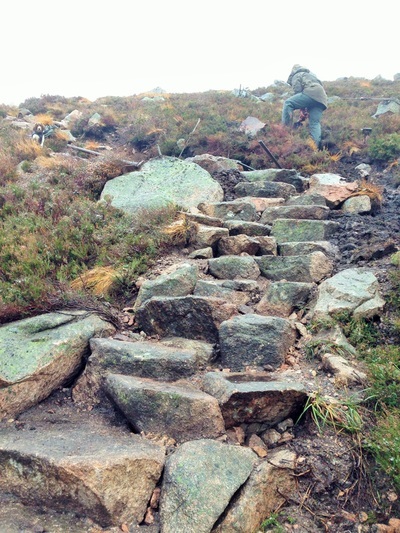 The path was originally constructed using a "pony pitching" style, which has largely gone out of favour as a method of path building. 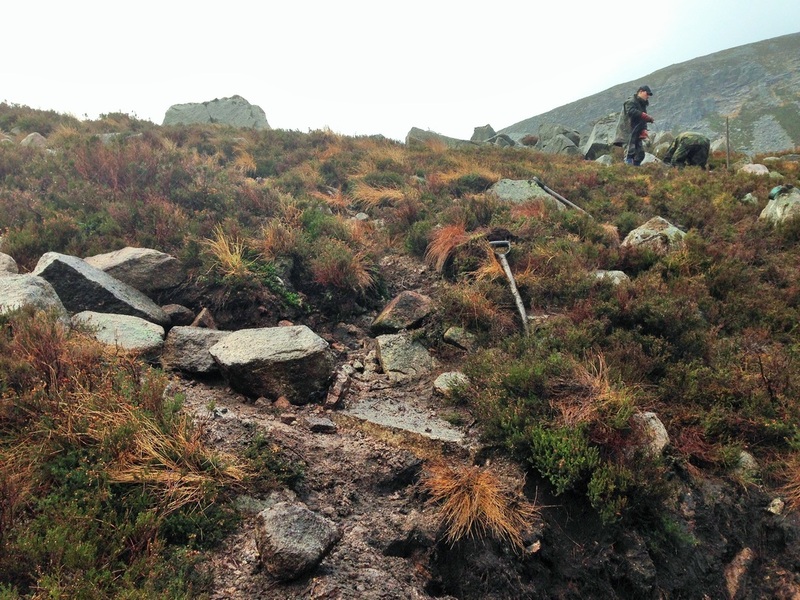 The lower section has completely collapsed, mainly due to water flowing down the path, but also due to erosion caused by walkers stepping off the path. 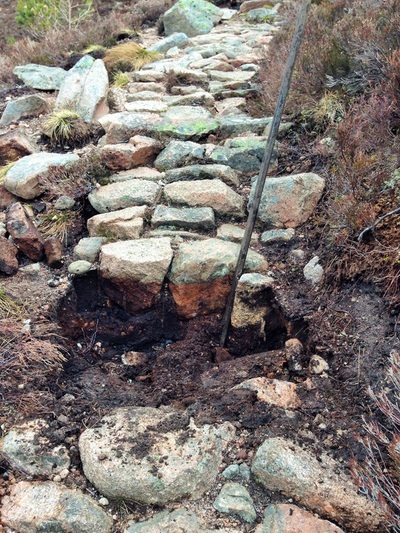 The middle section is largely OK but will require maintenance and some widening, while the top is extremely badly damaged with multiple and highly visible scars caused by water scouring the surface away. It is this last section that we will spend the most time on, creating a pitched path with adequate drainage features, and blocking and then landscaping the old damaged lines to encourage people to stay on one line. Photos showing extensive damage on the path.